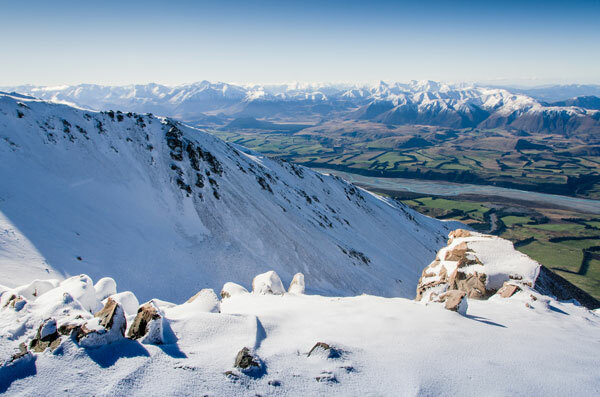 New Zealand’s Southern Ski Fields are ripe for adventure with 5 of the best Ski locations in the southern hemisphere located within a day’s journey of one another. Set amongst the beautiful backdrop of Alpine Glaciers, crystal blue lakes and friendly mountain towns, these locations will delight with their scenic vistas and mountain charm but most importantly; the snowfall that appears from early June to mid-July. For those seeking the thrill of a ski getaway, this is the ultimate guide for where you’ll want to be this season in New Zealand. Located an easy 90 minute drive from Christchurch is the famous Mt. Hutt. With the earliest snowfall of the season and a wide variety of learning and progressive terrain parks, Mt Hutt is a perfect choice for families or experienced ski-goers seeking the thrill of one of New Zealand’s highest peaks. The park itself is very accommodating and the nearby town of Methven provides all the comforts one would require after a hard day of carving powder. This includes a collection of restaurants, pubs and eateries – the most famous being the Blue and Brown pubs which are situated directly across from one another on the main street! The town also offers quality campsites and powered locations to stow your vehicle and return to after a day of cheery fun-filled activities. Smaller in scale, yet just as accessible as its sister resort; Porters Ski Area is the other main attraction of the Canterbury region and is lauded as a haven for beginners and intermediate skiers. 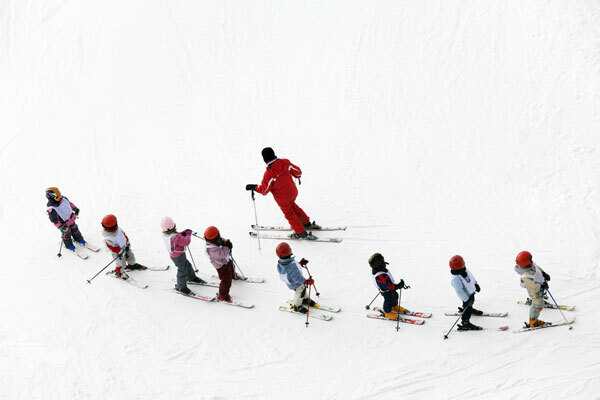 First timers can hone their skills on the parks beautifully manicured slopes and with the presence of a world class snow school, local village and a collection of beginner to intermediate transitions, Porter’s is an unmissable destination for the uninitiated. Just 40 minutes away from the town of Wanaka and boasting 25-30% more skiable area than its neighbours is Cardrona Alpine Resort. Cardrona is big in every way, from its multiple valleys and terrain parks (most extensive in the southern hemisphere) to the longest scheduled snow season and world class facilities on offer – you won’t go wanting for an experience here. For the tricksters, Cardrona offers four terrain parks which include a gravity cross, two halfpipes and a 22ft Olympic Superpipe all ready for you to show your stuff. For everyone else, the reliable annual snowfall along with wide set slopes make it a great open area for learning and relaxed skiing. Cardrona is best experienced from either Wanaka or Queenstown which make for beautiful sites in themselves and are both within easy driving distance of the resort. Both offer excellent campervan accommodation and provide easy access to surrounding attractions. Treble Cone is home to the longest vertical rise (700m) on the south island and an epic 4km downhill run that will challenge even the most experienced holiday makers. Beginners and advanced skiers will find common ground here as the park offers some of the best advanced routes in New Zealand (free riding and off-course skiing) and some of the best dedicated snow sports schools that operate on the adjoining yellow and green runs. As far as scenery goes, Treble Cone stands out as one of the best with its spectacular views of Lake Wanaka and the surrounding mountain ranges painting a picture of unrivalled natural beauty. Freshly fallen snow and crisp mountain air combine to make an atmosphere of serene beauty – don’t miss it! 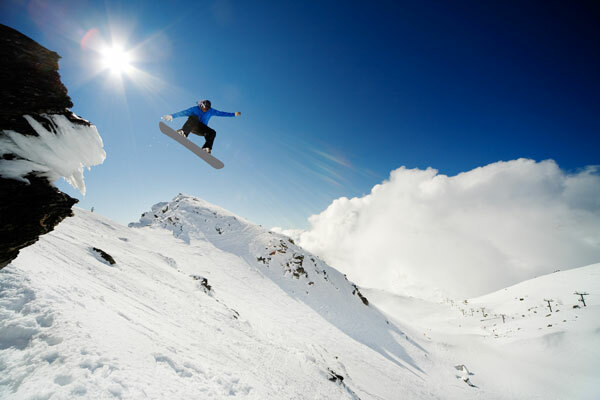 A 25-minute drive outside Queenstown and home to New Zealand’s only night skiing course, Coronet Peak is a must see park that caters for experienced and beginner groups with world class facilities for both. Not only are there an abundance of teaching and instructional options, children under 5 receive free day lift passes every day and there is a fully licensed early learning centre for the very young ones. 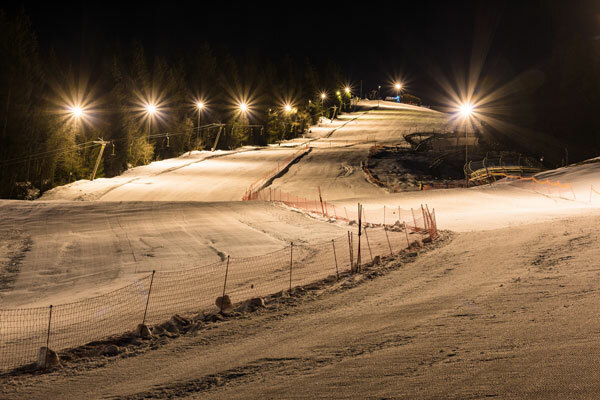 While Coronet Peak is a bliss to ski at whatever time of the day, it really comes alive at night with the recent addition of 4km of night skiing area, with after dark terrain areas featuring boxes, rails and airbags. Bring the family, or just yourself and experience all this awesome park has to offer. 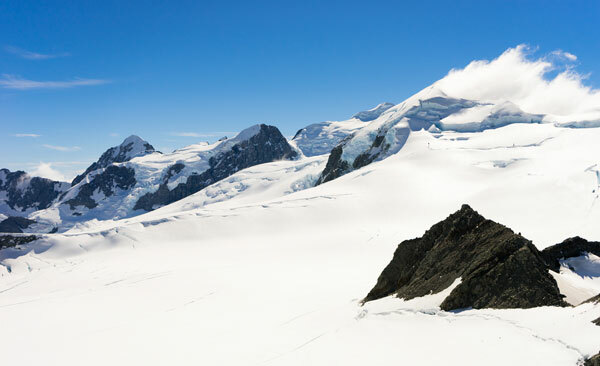 Interested in a New Zealand Ski Tour? Call us today on 1800 704 332 or click the link below.